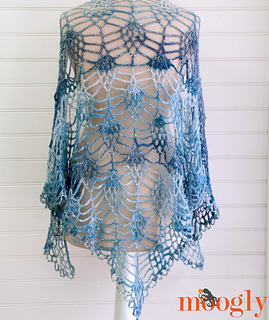 Sparkly, fun, fast, and light enough to wear even in a South Carolina Summer - that’s the Amara Shawl! 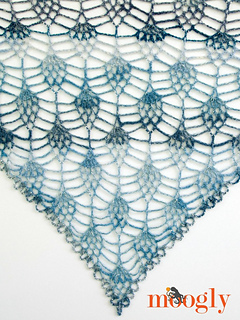 Less than one ball of Lion Brand Shawl and a Ball was used to make this beautiful triangle shawl, embellished with nearly 500 (optional) beads. 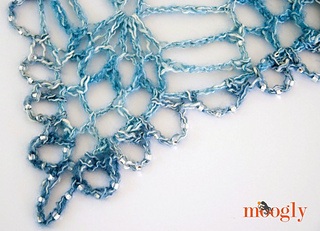 The beads add a little extra weight and drape, while the open stitch pattern keeps it lacy and light! Adding beads tutorial and stitch pattern tutorial videos are included!